Up to a third of road collisions involve someone who is at work at the time. For most people, the most dangerous thing they do at work is drive. Road collisions are the biggest cause of work-related death. Between 800 and 1000 people are killed on the road every year compared to around 250 non-driving deaths. Business drivers are 30 to 40 per cent more likely to have a road collision than private drivers. Some employers think that if their vehicles have an MOT and their drivers hold a valid licence, they have met their responsibilities. But, health and safety law applies to driving as it does to other areas of work. So large and small employers need a proactive, positive road safety culture. As well as being a social responsibility, this makes economic sense as road collisions cost time and money through absent staff, lost output, increased insurance and damage to reputation. A company director or manager has corporate responsibility for employee safety. If you don’t have effective procedures, you could face prosecution if a vehicle is involved in a serious crash. If a driver is in in a fatal collision, company directors can potentially be charged under corporate manslaughter legislation. Penalties can include imprisonment for the employer as well as the driver. Financial penalties issued to a company are, typically, significantly higher than those issued to a named individual. - allow drivers to make overnight stays rather than drive through the night. See the government document, Driving at work: Managing work-related road safety. 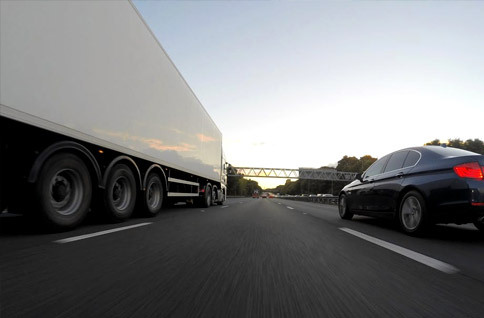 It lists the responsibilities of employers and describes how to manage work-related road safety and how to on integrate it into existing health and safety arrangements.